LEGO Off Road Car “RACE” Video | Christoph Bartneck, Ph.D. Here is a video demonstrating the power of RACE. 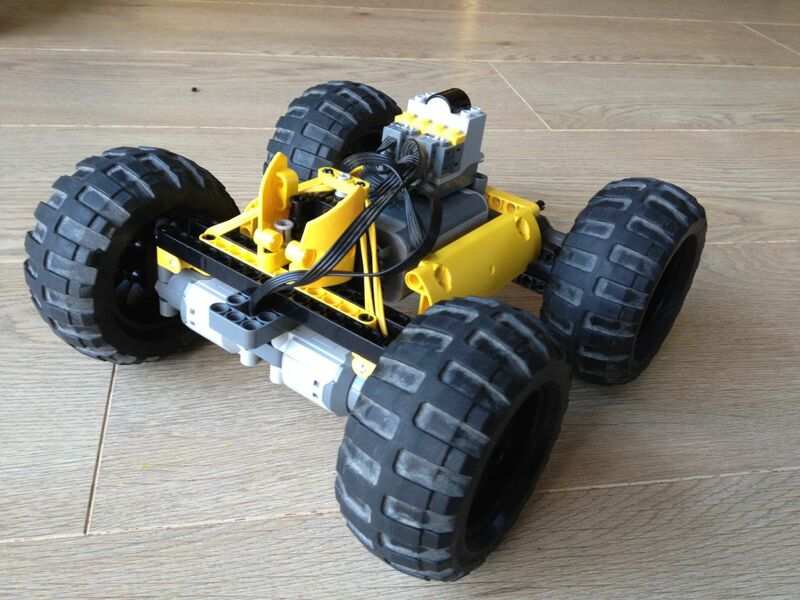 This super fast LEGO off road car has one L motor per wheel. With its pendular suspension it can overcome even large obstacles. The all wheel drive allows it to turn on the point. A fast and robust rally car. The video uses slow motion for your viewing pleasure. Also, have a look at the extended development of this vehicle. It went through so many stages.